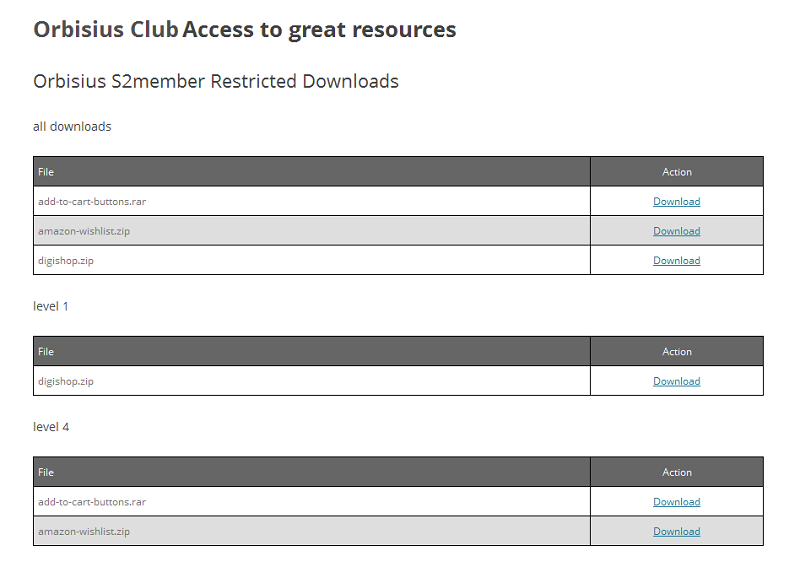 Orbisius S2member Restricted Downloads allows you to restrict file downloads based on user's membership level. Requires S2Member. 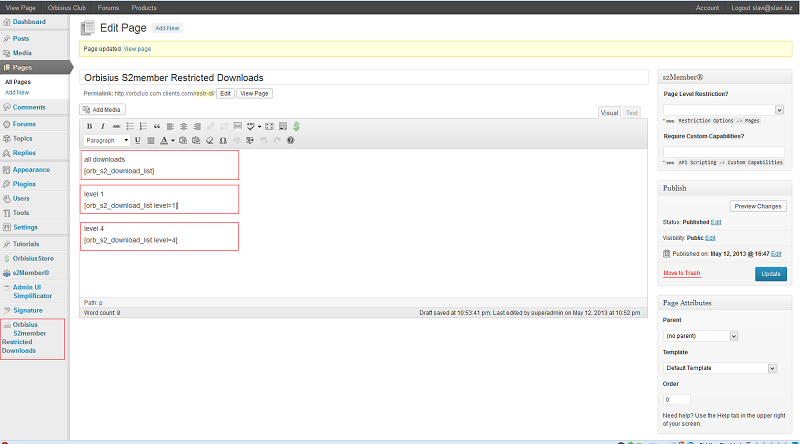 Restrict file downloads based on the user's membership level. You upload the files in a membership level specific folder. Only a member with that level or higher can download the filename. When the plugin is activated it will try to create s2member-files/orbisius-s2member-level folders for all levels (from -1 to 4 including). First, you need to upload some files. Then upload the file(s) in the desired folder on the membership level. -1 files are public downloads i.e. the system will not check if the user is logged in or not. To list all the download files paste this shortcode in a page/post. The plugin will list all of the files in one table but when a user with lower access tries to download a file he/she will get an error. If you want to list the downloads for a specific user level (3) use the following syntax.